NatGeo takes you on a photographic tour of the world's most spectacular destinations, inspiring tangible ideas for your next trip. 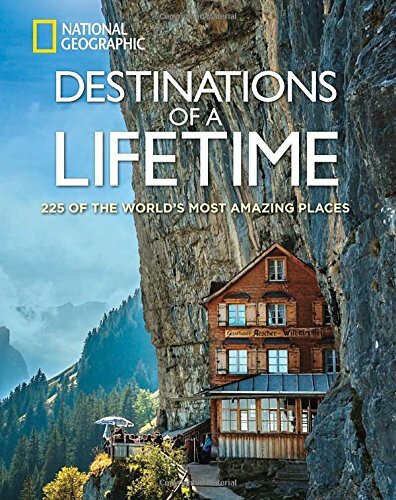 Travel to hundreds of the most breathtaking locales-both natural and man-made-illustrated with vivid images taken by the organization's world-class photographers. These images, coupled with evocative text, feature a plethora of visual wonders: ancient monoliths, scenic islands, stunning artwork, electric cityscapes, white-sand seashores, rain forests, ancient cobbled streets, and both classic and innovative architecture. Loaded with hard service information for each location, Destinations of a Lifetime has it all: when to go, where to eat, where to stay, and what to do to ensure the most enriching and authentic experience.